Pilates allows you to feel and function better in your daily life. Pilates is a system of controlled exercises that conditions the total body. It is a balanced blend of strength and flexibility training that improves posture, reduces stress, and creates lean long muscles. 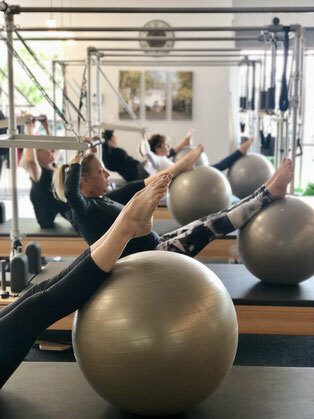 Pilates works several muscle groups simultaneously through smooth, continuous motion, with particular concentration on strengthening and stabilizing the core regardless of your fitness level or age, Pilates will rejuvenate you! Bodhi Pilates offers personalized, prescriptive pilates classes specifically tailored and designed just for you. Download our app BodhiPilates or find us on MindBody and book your next session. Allow Bodhi Pilates to nurture your mind and body. Near Highlands Ranch, CO - C470 & University Blvd.